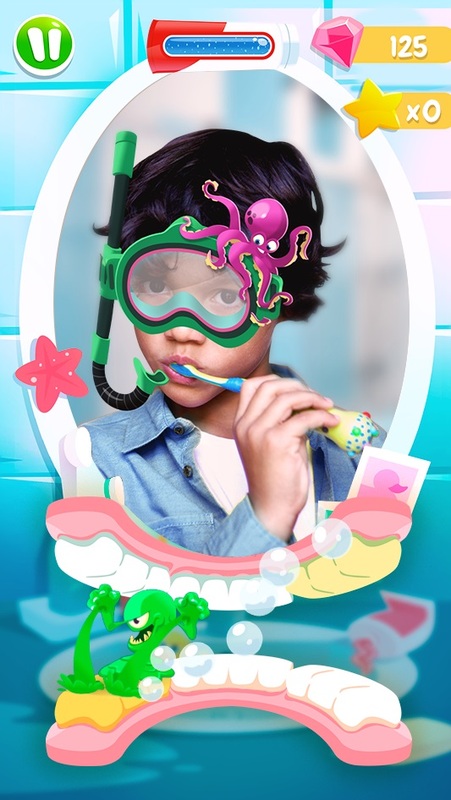 The new Magik toothbrush uses a smart connector attached to the brush which tracks brushing movement and technique, displaying it on the screen of the Colgate Magik companion app alongside a range of animated monsters kids have to brush away. 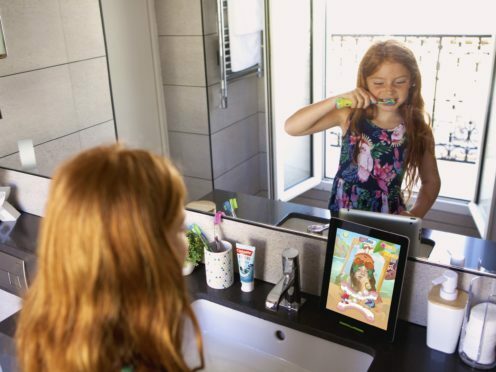 The new system is powered by smart toothbrush firm Kolibree, and is aimed at children aged six and up. Special augmented reality (AR) masks can be picked up as rewards for brushing that combine with the front-facing camera so kids can see themselves wearing a virtual snorkel among other things. The app also includes a dashboard which enables parents to track brushing as well as get guidance on how to improve brushing performance for their children. Philip Durocher, Colgate’s vice president for northern Europe, said: “At Colgate we are committed to improving oral health and the launch of our new Colgate Magik toothbrush is testament of this. “We want people to have the healthiest smiles by brushing their best, and this is a skill that should be learnt from a young age. The manual toothbrush is available online now, and goes on sale in stores on October 24 for £19.99 and comes with a mobile phone holder and connector that links the brush and app. Colgate says once the toothbrush needs replacing, the Magik system can still be used as the connector fits any Colgate Kids 6+ toothbrush.